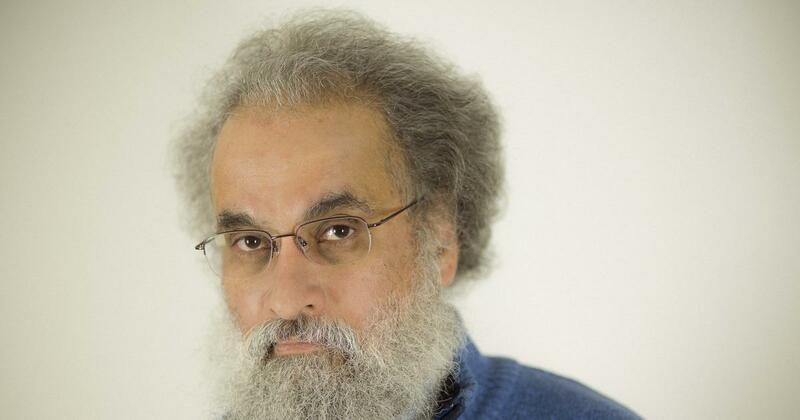 Los Angeles, February 11 (newsin.asia): Indian historian Sanjay Subrahmanyam has won theDan David Prizein recognition of his contributions to macro history,UCLA Newsroom reported on Friday. Subrahmanyam’s scholarship focuses on the encounters between Asians, Europeans and indigenous and colonial Americans from 1400 through 1800. He is currently Professor of History at the University of California in Los Angeles. He is the son of K.Subrahmanyan, India’s first defense analyst, and is the brother of Dr.S.Jaishankar, former Indian Foreign Secretary. The prize is named after philanthropist Dan David and administered by Israel’s Tel Aviv University, according to AP. The Dan David Foundation awards $1 million (Rs 7.11 crore) prizes for scientific, technological and cultural accomplishments in three time dimensions – past, present and future. The award ceremony will take place in Tel Aviv in May. Subrahmanyam will share the $1-million prize money with Kenneth Pomeranz, a renowned historian who teaches at the University of Chicago. Other winners of prize include Reporters Without Borders and Canadian author, academic and former politician Michael Ignatieff for defending democracy. They were honoured in the “present time dimension”. Costa Rican diplomat Christiana Figueres was honoured in the “future time dimension” for combating climate change. Dan David Prize laureates donate 10% of their prize money to postgraduate students in their respective fields, thereby contributing to the community and advancing a new generation of scholars. The Political Economy of Commerce: Southern India, 1500–1650, Cambridge:Cambridge University Press, 1990. (Ed. )Merchants, Markets and the State in Early Modern India, Delhi:Oxford University Press, 1990. Improvising Empire: Portuguese Trade and Settlement in the Bay of Bengal, 1500–1700, Delhi: Oxford University Press, 1990. (with Narayana RaoandDavid Shulman),Symbols of Substance: Court and State in Nayaka-period Tamil Nadu, Delhi: Oxford University Press, 1992. The Portuguese Empire in Asia, 1500–1700: A Political and Economic History, London and New York:Longman, 1993. (Ed. )Money and the Market in India, 1100–1700, Delhi: Oxford University Press, (Series:Themes in Indian History), 1994. (Ed. )Merchant Networks in the Early Modern World(volume 8 ofAn Expanding World). Aldershot:Variorum Books, 1996. (Ed. withKaushik Basu)Unravelling the Nation: Sectarian Conflict and India’s Secular Identity, New Delhi:Penguin Books, 1996. (Ed. withBurton Stein)Institutions and Economic Change in South Asia, Delhi: Oxford University Press, 1996. The Career and Legend of Vasco da Gama, Cambridge: Cambridge University Press, 1997. (Ed. withMuzaffar Alam)The Mughal State, 1526–1750, Delhi: Oxford University Press (Series:Themes in Indian History), 1998. (Ed. )Sinners and Saints: The Successors of Vasco da Gama, Delhi: Oxford University Press, 1998. Penumbral Visions: Making Polities in Early Modern South India, Delhi/Ann Arbor: Oxford University Press/University of Michigan Press, 2001. (with V. Narayana Rao and David Shulman)Textures of Time: Writing History in South India, 1600–1800, New Delhi:Permanent Black, 2001. (ed. with Claude Markovits and Jacques Pouchepadass)Society and Circulation: Mobile People and Itinerant Cultures in South Asia, 1750–1950, New Delhi: Permanent Black, 2003. (ed. )Land, Politics and Trade in South Asia, Delhi: Oxford University Press, 2004. Explorations in Connected History: From the Tagus to the Ganges, Delhi: Oxford University Press, 2004. Explorations in Connected History: Mughals and Franks, Delhi: Oxford University Press, 2004. (ed. withKenneth McPherson)From Biography to History: Essays in the History of Portuguese Asia (1500–1800), New Delhi:TransBooks, 2006. (with Muzaffar Alam)Indo-Persian Travels in the Age of Discoveries, 1400–1800, Cambridge: Cambridge University Press, 2007. (Ed. with David Armitage)The Age of Revolutions in Global Context, c. 1760-1840, Basingstoke: Palgrave Macmillan, 2009. (with Muzaffar Alam)Writing the Mughal World, Ranikhet/New York: Permanent Black/Columbia University Press, 2011. Three Ways to be Alien: Travails and Encounters in the Early Modern World, (Menahem Stern Jerusalem Lectures), Waltham (Mass. ): Brandeis University Press, 2011; French translation:Comment être un étranger : Goa – Ispahan – Venise, XVIe-XVIIIe siècles, Paris: Editions Alma, 2013. Courtly Encounters: Translating Courtliness and Violence in Early Modern Eurasia(Mary Flexner Lectures), Cambridge, Mass. : Harvard University Press, 2012. Impérios em Concorrência: Histórias Conectadas nos Séculos XVI e XVII, Lisbon: Imprensa de Ciências Sociais, 2012. Is ‘Indian Civilization’ a Myth? : Fictions and Histories, Ranikhet: Permanent Black, 2013 (Revised French version: Leçons indiennes: Itinéraires d’un historien, Paris: Editions Alma, 2015). Aux origines de l’histoire globale(Leçon inaugurale au Collège de France), Paris: Fayard, 2014. Mondi connessi: La storia oltre l’eurocentrismo, sec. XVI-XVIII, Rome: Carocci, 2014. (Co-editor)The Cambridge World History, Vol. VI: The Construction of a Global World, 1400-1800 CE, Books 1 & 2, Cambridge: Cambridge University Press, 2015 (forthcoming). (Ed. with Henning Trüper and Dipesh Chakrabarty)Historical Teleologies in the Modern World, London: Bloomsbury, 2015 (forthcoming).